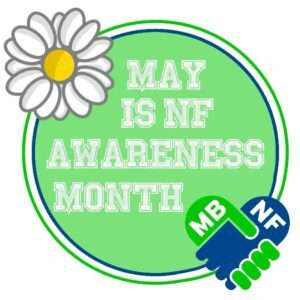 May is NF Awareness Month and MBNF gets excited to spread awareness! WE NEED YOUR HELP to wear BLUE and GREEN or NF merchandise. Use social media to post pictures wearing NF colours and use the hashtag #MBNF. 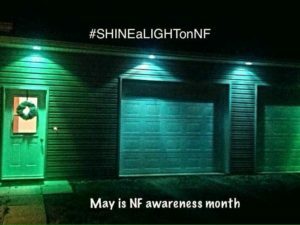 You can light up your front porch in blue and green, get blue and green streaks in your hair, paint your nails, wear NF t-shirts, whatever you like to shine a light on NF! We have MBNF picture frames too. 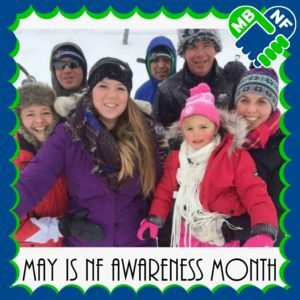 Email your pictures to info@mbnf.ca if you would like us to post your awareness pictures on our MBNF Facebook Page or add a frame to your profile picture.